It’s no secret that cloud fax is transforming businesses of all sizes. These solutions can benefit businesses in a number of ways. 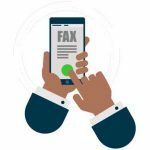 There are no fax machines in cloud faxing unlike traditional faxing. With cloud faxing, the fax is sent to your inbox directly and no one can see it except you. Drastically lower cost: As you don’t need to buy expensive traditional fax machines and the related infrastructure, you’ll see lower monthly costs. Under cloud faxing, you only pay for what you use. Cloud fax solutions are ideal for businesses operating on tight margins. Easier management: The cloud fax service provider takes care of technical problems, administrative support and function management so you can focus on other business functions. Cloud fax solutions also give more time to IT employees to work on other tasks. Increased efficiency: Employees who send and receive faxes are more efficient, as they don’t need to get up again and again to check for sent or received faxes. 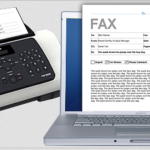 Most cloud fax solutions also allow you to send different kinds of documents than traditional fax machines. So, you don’t need to convert documents into a format that can be sent by fax. It can save your money as well as time. Better than email: Most email servers send a particular size of the document. With bigger documents, you need to find another way to send them. Cloud faxes work similarly as normal fax machines and make it easier to send larger files. There are many more benefits that a cloud fax system can bring to your business. So, ditch the traditional fax machine and move to the cloud faxing.